In a devastating example of what can go wrong when people buy goods from unreliable sources, it has been revealed that a teething bracelet recently left a Connecticut baby with life-threatening lead poisoning. The product, which was marketed as a “magnetic hematite healing bracelet”, contained beads with an unbelievable 17,000 parts per million of lead; the maximum safe level as outlined by the Consumer Product Safety Commission is 100. The nine-month-old was found to have a blood level of lead measuring 41 micrograms after a routine health screening; levels higher than five are considered abnormal. At first, authorities believed the baby’s lead poisoning must have come from peeling paint in her house, but it was later discovered that such paint was out of her reach and her siblings, aged three and five, had blood lead levels lower than three micrograms. The bracelet was purchased at a local artisan market stall in Manchester, Connecticut. Her parents gave it to her because they believed it would help soothe her teething pain. The bracelet, which contains tiny beads that seem to render it unsuitable to give to small children because of the potential choking hazard, consists of hematite beads set apart by spacer beads that it turns out were made of lead. The Centers for Disease Control and Prevention (CDC) says that no amount of lead exposure is safe. The metal builds up quickly in the body, and children younger than six are at particular risk because it can harm their physical and mental development in irreversible ways. It is often linked to exposure to lead paint, but some people are exposed via dust in the air, soil and water. Testing has found the heavy metal in many schools’ drinking water supplies, and it was at the heart of the Flint water crisis. In 2003 and 2006, several high-profile cases involved jewelry and charms geared toward kids that caused severe cases of lead poisoning and fatalities. 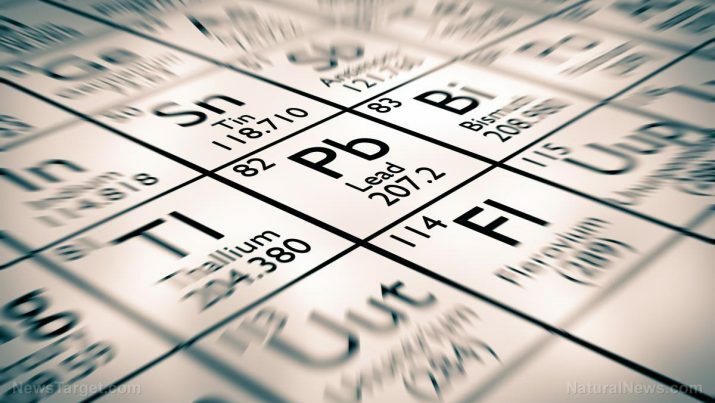 Symptoms of lead poisoning include irritability, abdominal pain, anemia, appetite loss, weight loss, learning problems, constipation, hearing loss, vomiting and seizures. In some cases, it is fatal. Often, there are no symptoms, which means that lead can build up in a person’s system to dangerous levels without them realizing it. Investigators could not track down the origin of the bracelet. It had no type of marking to indicate who made it, nor were they able to contact the local fair vendor who sold it to the baby’s parents. This is why it is important to buy products from reliable sources that can be tracked if something goes wrong. Amazon recently came under fire after several its products were revealed to be counterfeit, and the retailer appears to be doing very little to rectify the situation. It’s unfortunate that people only give the matter of product integrity a reasonable amount of thought when something bad happens. When it comes to teething, there are plenty of ways that you can give your child relief from pain that don’t involve any type of jewelry. Rubbing their gums with a clean finger, placing a cool washcloth on their gums, or giving them cold, hard food to gnaw on can help.